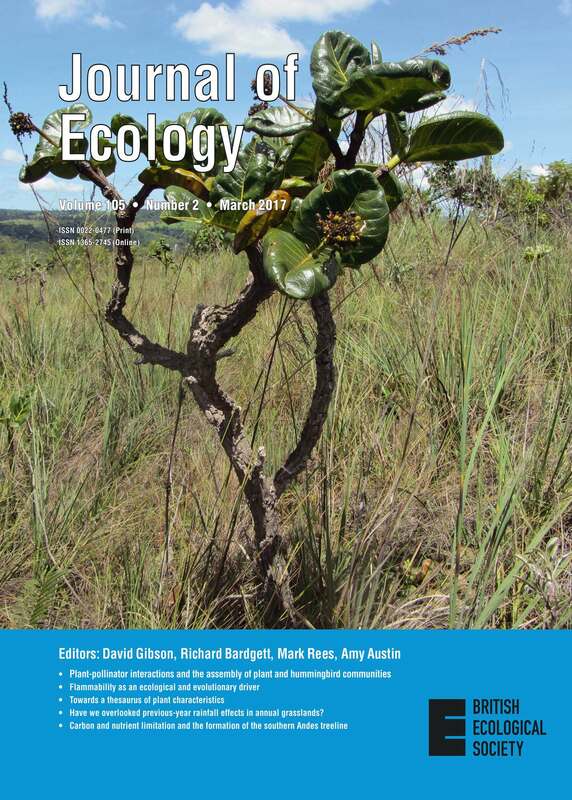 In the cover of the March issue of the Journal of Ecology (105:2) there is a picture of Palicourea rigida (Rubiaceae), a plant growing in the Brazilian savannas (cerrado). It is an example of a plant that survives in a very flammable environment (grassy savanna) thanks to a set of traits conferring very low flammability, including a very low specific leave area and a thick corky bark. Grasses generates fast fires of low intensity (fast-flammable strategy), and in this environment, having low flammability is adaptive as it increases survival (non-flammable strategy). That is, different (contrasted) flammability strategies allows coexistence. For the definition of the different flammability strategies see . ¡IMPORTANTE! Responde a la pregunta: ¿Cuál es el valor de 6 4 ?